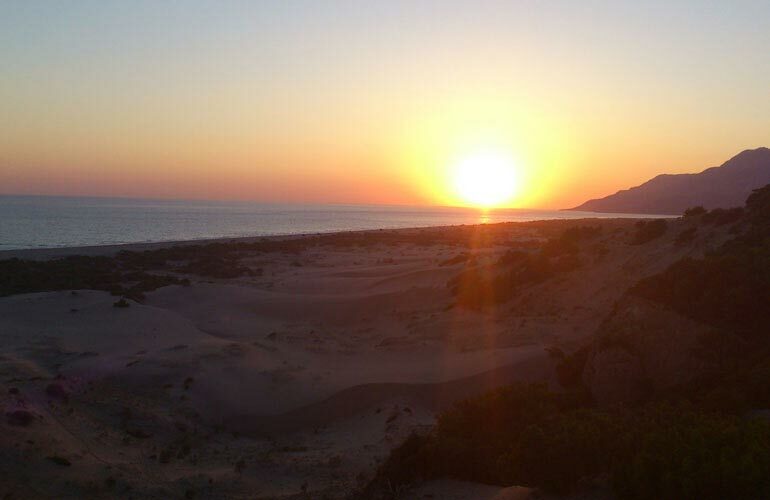 Sand Dunes of Patara Breath-taking view point for sun set. 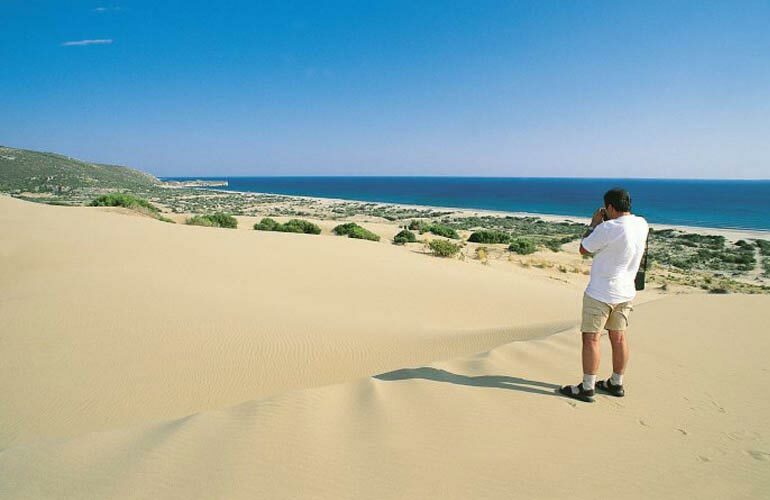 Patara beach is a 18 km long beach and there are several ways to reach it. Sand Dunes are nearly in the middle of the beach which can be accessed through a forest road. From the Dunes whole beach and ancient city of Patara (especcially the ancient lighthouse) is visible. 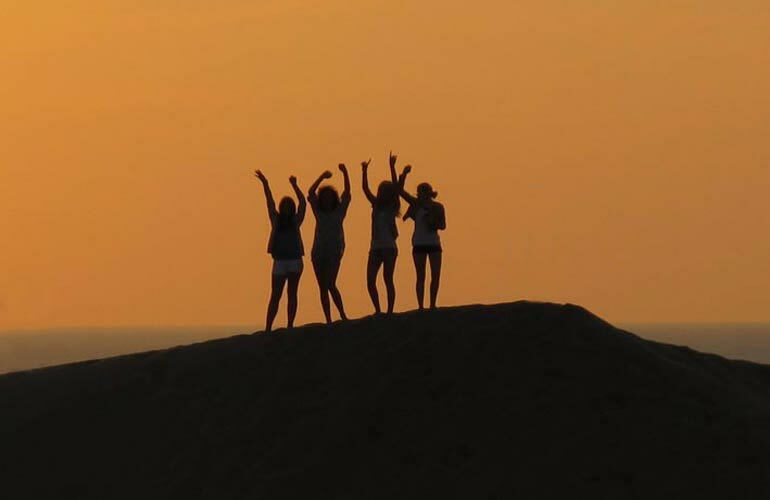 On the Sand Dunes seeing sun set is the main atraction. Views of the beach and the sea is very relaxing. On a clear day when sun is setting silhouette of Rhodos island becomes visible. 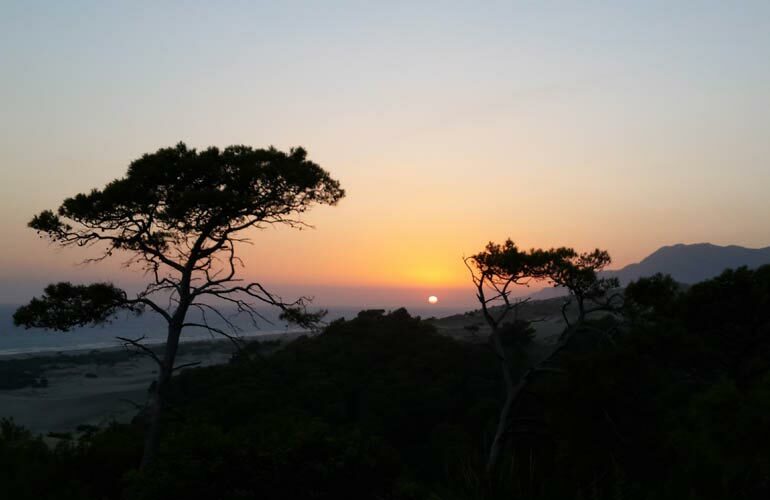 Occasionally, we are taking our guests to this place to enjoy sun set. We went to the beach to watch the sunset and were not disappointed. The night was clear and the view was magical. This is maybe not a beach we would choose to spend the day on but the sunset is not to be missed.